So how do you market a mobile OS that's essentially a superficial upgrade to a years-old product that a sizable bloc of techies think is the worst thing, ever, period? You change its name! To "Windows Phone," apparently. 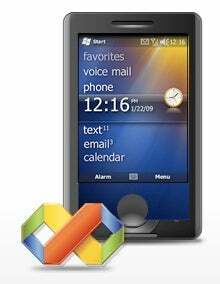 Actually, according to The Inquirer, who claims to have heard this firsthand from Microsoft, all versions of Windows Mobile— from the extant 6.1 to the forthcoming, total-overhaul version 7—will be pulled under the Windows Phone umbrella, a move seemingly presaged by the announcement that the new Windows Marketplace for Mobile, will be open to all versions of the OS. That, and the fact that these same rumors were getting kicked around back in February, from equally credible sources, and accompanied by the odd use of the phrase on the company's website. In other words, it looks like it's going to happen, probably coinciding with the launch of 6.5.